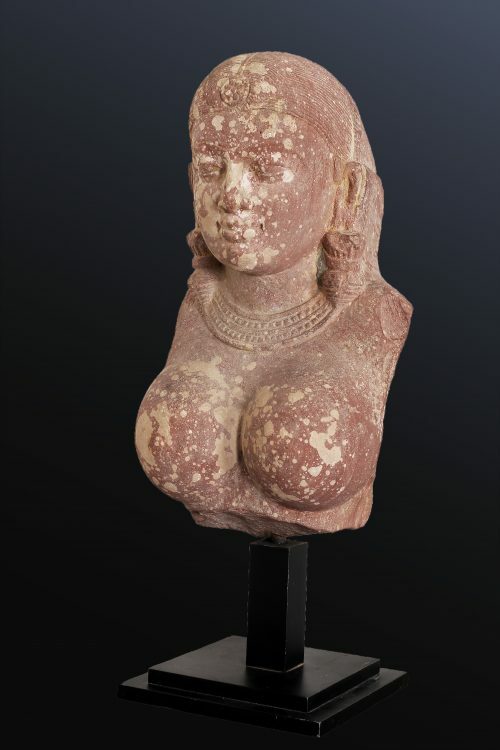 Admirable female bust of 32 cm high, made of mottled red sandstone, typical of the Mathurā region in North India. Whatever her exact identification, it emanates from this female figure a presence both discreet and captivating. The pretty face shows a modelling with a soft and smiling aesthetic, absolutely characteristic of the Kuṣāṇa period (1st-3rd century). 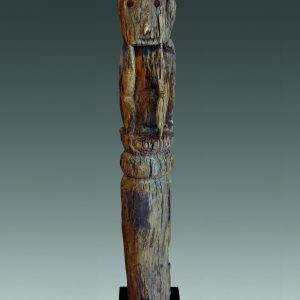 The same can be said of the slightly bulging and outlined eyes, enhanced by the double curved line of the eyebrows, or even the so-called “spinning-top-shaped” earrings, as illustrated by an Offering Bearer from the Guimet Museum who is in all respects comparable (MA 4798). 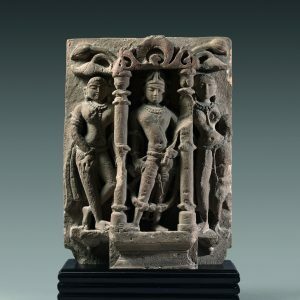 Also typical of the Kuṣāṇa period is the hair very carefully treated in horizontal rows of semi-circular lines and delicately adorned with a floral ornament. 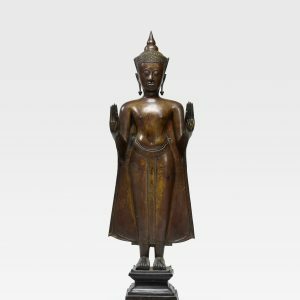 The generous breasts suggest a body with rounded forms and emphasize the sensuality of this protective deity or young female layman, whose representations are frequent on the railing pillars that surrounded the stūpa of the region. 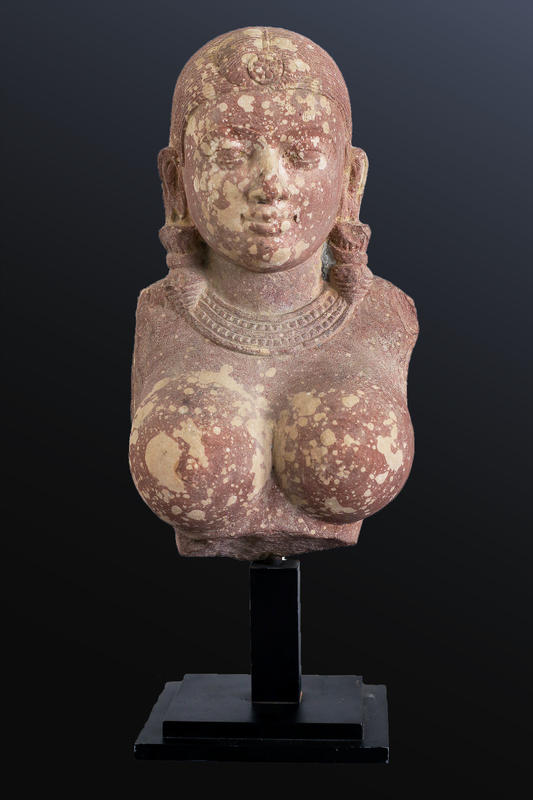 They evoke the Indian canon of feminine beauty, linked to fertility and abundance. 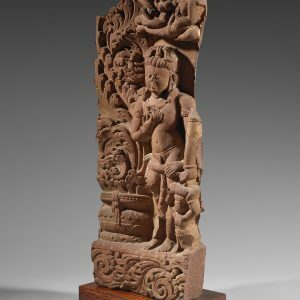 This sculpture is therefore an exceptional remnant of the incredible artistic production of the Mathurā school during the very first centuries of our era.